Eight year old Alfie was nominated to us for some magic. Typically of a boy that age, his favourite thing is slime! 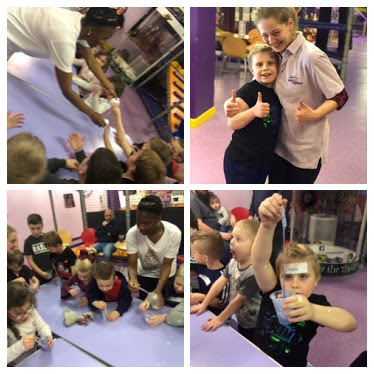 So we arranged for Sublime Science to come along and throw a party for Alfie and his friends at Partyman World of Play!